Commencement ceremony will be Saturday, May 7 at 10:30 a.m. in the BDAC. A reception will follow in the Jennifer Leavitt Student Center Multipurpose Room. There is no cost for attendance and everyone is invited. Chancellor Joe Peterson will open the ceremony with a speech and Student Body President Rachel Ryan, Co-Valedictorians Justin Stout and Lance Deeter and Salutatorian Elcio Dutra will follow. Justin Stout, son of Alan and Joan Stout of Price, maintained a 4.0 GPA throughout his time spent at USU-CEU. He is currently attending Brigham Young University where he is planning to graduate with a bachelor’s degree in accountancy. He recently returned from Ghana, located in West Africa, where he served as a missionary for the Church of Jesus Christ of Latter-day Saints. Throughout his life, Stout has made it a priority to achieve his fullest potential in all that he has pursued. He has always had an ambition to own and operate his own business and hopes to achieve this with his forthcoming degree. Stout realizes that success comes from hard work and dedication, and he expresses gratitude for his gracious parents, diligent professors, and loyal friends that have helped him achieve his successes. Lance Deeter was born and raised in Carbon County. He is the son of Barry and Linda Deeter and has one older brother, Nick Deeter. He graduated with a 4.0 GPA in 2009 from Carbon High School, followed by enrollment at USU-CEU. While here, he has held a position on student government as an events director and was involved in several volunteer activities, including Spring Breakaway. After USU Eastern, Deeter plans to transfer to the University of Utah to pursue a bachelor’s degree in exercise physiology and later attend medical school to become a sports medicine physician. He enjoys sports, riding his bike and the outdoors. He would like to thank USU Eastern and all of his instructors for the great education he has received. He would especially like to thank his family for all of the support over the years. Elcio Dutra was born in Sao Paulo, Brazil, and has lived in Salt Lake City with his family since he was eleven. This is Dutra’s second year at USU-CEU, after serving a two-year LDS mission in Boston, Massachusetts. He chose to attend USU Eastern because he was awarded an academic scholarship and to live in a college atmosphere. Dutra has been part of many clubs and organizations, including the business and breakaway clubs, and he has served as a resident advisor in Aaron Jones Hall and as a SUN Center leader. As a SUN Center leader, he has encouraged students to volunteer at the Lighthouse Alternative Learning Center in Price. 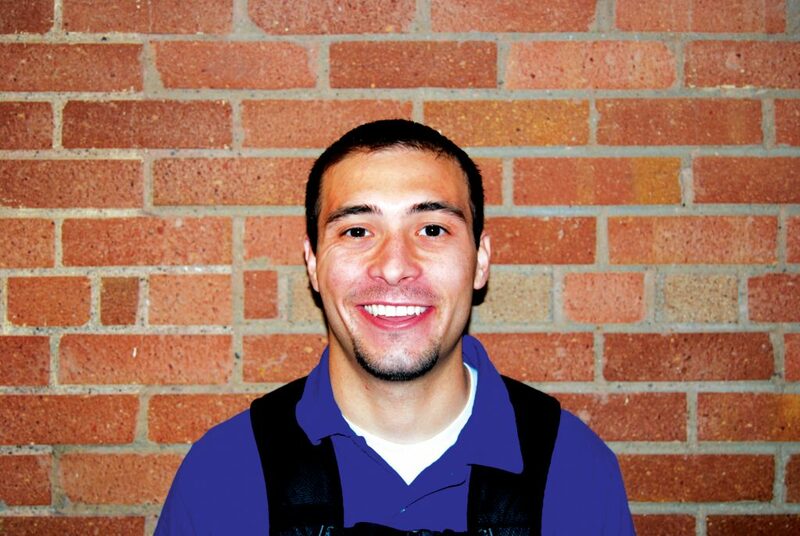 While working on his associate’s degree, Dutra’s main focus has been business, and he plans on eventually earning an MBA. He loves to learn and credits his mom, Fernanda Dutra, for always encouraging him to do his best. Following the student speakers, Jenna Rae Rudolph and Kelton Wells will sing a duet of “The Prayer” by David Foster, Carole Bayer Sager, Alberto Testa and Tony Renis. Gail Miller was chosen by the Regional Advisory Board for USU Eastern to be the commencement speaker. Vice Chancellor for Academic Affairs and Student Services Greg Benson will present the graduates after Miller’s speech. This year for the first time, one student will graduate with a master’s degree and six students with a bachelor’s degree. They will be presented along with the number of students graduating with an associate’s degree. There are 280 graduate candidates; however, not all will graduate and/or walk at commencement. Students can walk if they graduated in fall 2010 or will graduate by the end of spring or summer 2011 semesters. Lastly the alumni association will welcome the graduates. The ceremony is expected to last about 90 minutes.